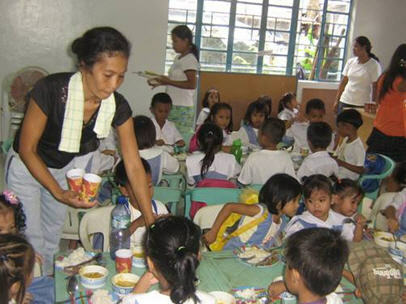 Since May 2010, Charity Cat has been supporting a feeding program by the Springboard Foundation in the Philippines. Malnutrition is responsible for more than half the deaths in children under age five born in developing countries. 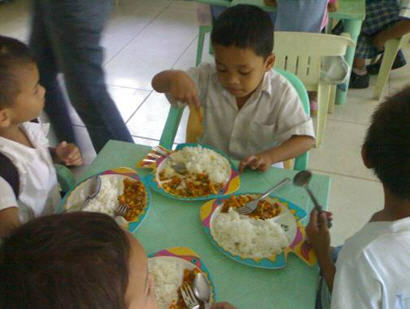 12 million out of 17 million Filipino children aged 2 to 10 are malnourished, according to the Department of Social Welfare and Development (DSWD) in the Philippines. This is why Charity Cat has decided to donate funds for an “Essential Nutrition Program” for urban poor children, carried out by Springboard in partnership with Hope Worldwide Philippines. 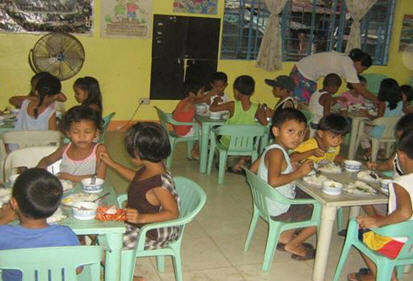 The program provides daycare and meals for 52 children between the ages of five and six, who are beneficiaries at the Center of Hope – Baseco. At the start of the program, each child’s height and weight was measured as a baseline to monitor their health status. Throughout the program, further measurements are taken to make sure the children gain and keep to a healthy weight. Charity Cat has made an initial donation of 170.000 Pesos (ca. 2.800 Euros), needed annually to support the feeding program. 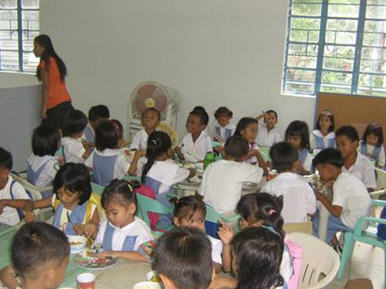 These funds are being used to provide nutrition and daycare for the children during the school year 2010-2011.